There's a lot to be excited about when it comes to the forthcoming Galaxy S10 smartphone range, which includes the S10e, S10 and S10 Plus. However, raw processing speed might not be one of those reasons according to the latest report around the flagship handset scheduled to be announced on February 20, 2019 and become available to pre-order ahead of its release date the following day. The iPhone XS Max is currently the fastest smartphone that money can buy. It holds the top spot with a Geekbench multi-core score of 11,432 and a single-core of 4,797. Benchmark scores are designed to help users quickly compare performance between different devices on different platforms. So regardless of the chipset brand and operating system, the higher the Geekbench score, the better. According to a leaked Geekbench score, the Galaxy S10 Plus will purportedly have a multi-core score of 10,444 and a single-core of 4,477. That's enough of a difference that you'll likely notice a dip in performance when handling some of the most intensive tasks, like rendering a high-resolution video. Samsung is expected to use a combination of the flagship Qualcomm SnapDragon 855, or the Exynos 9820, depending on the market. This will be combined with 4GB of RAM in the entry-level Galaxy S10e, and 6GB of RAM in the S10, and S10 Plus. 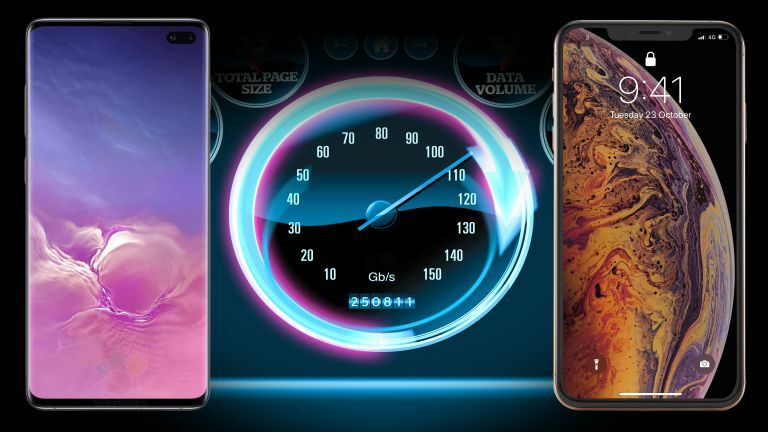 It's unclear from the leak which model of the Samsung Galaxy S10 range has been tested on Geekbench, so it's possible that this score belongs to the more affordable S10e, and not the maxed-out Galaxy S10 Plus. Even if this Geekbench score is the absolute best that the new Galaxy S smartphone can muster, it's still nothing to be sniffed at. After all, benchmark scores are synthetic, and do not portray a well-rounded picture of how the handset will perform will perform day-to-day. Samsung will announce its new Galaxy S10 smartphones at Galaxy Unpacked events in London and San Francisco on February 20, 2019. Pre-orders for the entire range of devices are rumoured to go live online the following day. The hotly-anticipated event will also see the launch of the Galaxy X – an entirely-new folding flagship smartphone that has been in development for years.